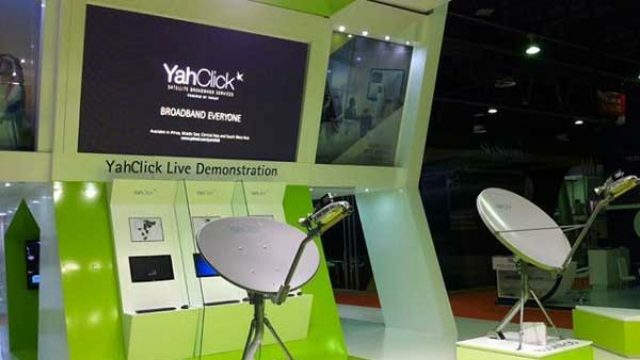 UAE-based global satellite operator Yahsat on Thursday announced the expansion of its YahClick satellite broadband service in Nigeria, bringing reliable Internet access to all areas across the country. The announcement comes on the back of the recent commercial readiness of Yahsat’s third satellite, Al Yah 3. To enable YahClick’s steadfast expansion, the company also announced a new partnership with leading Internet service provider Zeta-Web. The new partnership demonstrates Yahsat’s continuous investment in Nigeria to deepen the country’s broadband penetration and bring more areas and communities with reliable and high-performance connectivity. Utilizing the Ka-band frequency powered by High Throughput Satellite (HTS) spot beam technology that delivers higher capacity to smaller dishes, Yahsat - together with Zeta-Web will deliver high quality services to a wider market. Specifically, this includes key vertical markets of education, oil and gas, banking, agriculture, SMEs, and SOHO. The partnership will also address the specific connectivity needs of users through a wide range of dependable value-added services. “Through our new partnership with Zeta-Web, YahClick will further expand its service offering in Nigeria and strengthen its position within Africa’s growing telecommunication sector, but most importantly help the nation build its infrastructure. This is why we launched YahClick in the country during 2012 - to bring the many advantages of fast and reliable satellite broadband to more companies and communities,” says Farhad Khan, Chief Commercial Officer at Yahsat. Over the last decade, Zeta-Web has established itself as West Africa’s leading provider of high-end ICT solutions and continues to play an integral role in the socio-economic growth of Nigeria. Through their partnership with Yahsat, Zeta-Web can continue to strengthen Nigeria’s Internet infrastructure. The new partnership follows the news of Yahsat’s recent announcement of an agreement to establish a joint venture with Hughes Network Systems (HUGHES) to accelerate Yahsat’s commercial Ka-band services across Africa. Combining Hughes’ expertise as a global leader in broadband satellite networks and services with Yahsat's knowledge as the leader in satellite broadband solutions in the region, the new joint venture will allow both companies to unlock the mass-market potential of satellite broadband solutions across the region. Yahsat launched its flagship service, YahClick, in Africa in 2012. It was the first operator to introduce HTS Ka-Band satellite broadband technology to the continent through Yahsat’s Al Yah 2 satellite. Following the successful launch earlier this year, and the recent commercial readiness of the company’s third satellite Al Yah 3, YahClick’s footprint has extended to 19 additional markets in Africa. This collaboration is part of Yahsat’s commitment to deliver affordable, reliable and high-speed Internet connectivity to unserved and underserved parts of the world.